Einstein is the name kids start reading in the school. It can take an individual his entire life to do research on Albert Einstein and his exceptional work in the field of science and technology. The inventions linked with the name Einstein are way more than you can think. He is the father of modern day science. 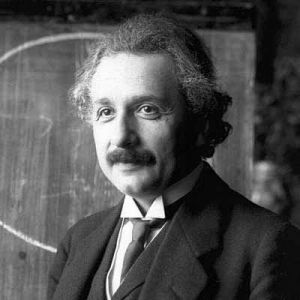 Basic principles in the field of physics, chemistry and biology have been derived by the well known scientist Albert Einstein. Some consider him a super human being whereas others think that he was in the influence of aliens. Could this be true? No wonder that the number of inventions and basic principles he gave us are an indication that he was influenced by some sort of super-power or either he was just born different, perhaps more intelligent and capable then the entire mankind altogether. It is not the number of inventions and principles he derived. It is about the significance of the inventions and principles. Do you know how the science and technology is becoming so advance these days in every field? Scientists are working on the basic principles which were derived by Albert Einstein. In this way, today’s scientists are able to progress with every day passing. Do you know some of the great scientists of Einstein’s time used to consider Einstein’s theories ridiculous? One might think that at the time when other scientists could not help calling Einstein an idiot, how did Einstein manage to pull off such great inventions? 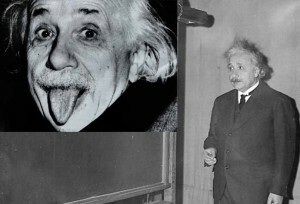 Surely Einstein has a secret to his exceptional work as a scientist. He worked on a theory which indicates that aliens are a threat to our planet. He is well known for writing the Top Secret 6 Page document which is relevant to existence of extraterrestrials. The document contains true opinion of Einstein and Oppenheimer on the several aspects of alien existence such as spaceships, built of spaceships, culture of aliens, where aliens live, dangers of alien existence, etc. In the case of Einstein, we are able to examine some real wonders of inventions and derivations in almost every field which is related with science. He was able to find out that atom exists which laid the basis for Atomic Bomb formation. Some people consider that he did it purposely for the Americans. There are opinions on Einstein that he was never a German. Einstein’s personality is full of controversies. People have started to consider aliens as human-friendly species as they have never hurt any human being according to the numerous alien abduction stories. It gives an indication that it can be possible that Einstein was helped by aliens in his entire career in order to make Earth a better place to live for the humans. We know for sure that Einstein had a huge brain, bigger than a normal human being. Some people have started to question today whether Einstein was an alien? Can it be possible? It can be possible if we look at the discoveries he has made in his life time while others did not have a clue of what he was doing. ← Did Native Americans Communicate with Aliens?